This photograph is identified as being the Charlie Hana wedding. Charlie Hana and his bride Bessie Hrdlieka, with bridesmaid Gussie Hrdlieka, Best Man Joe Karas, and “Driver” Ed Hana. (Bessie's real name was Blanche.) They both were born in 1884, so in this photo, both were 28. According to “Table Rock” Bob Blecha, “driver” was a position of honor at a wedding and was considered part of the wedding party. 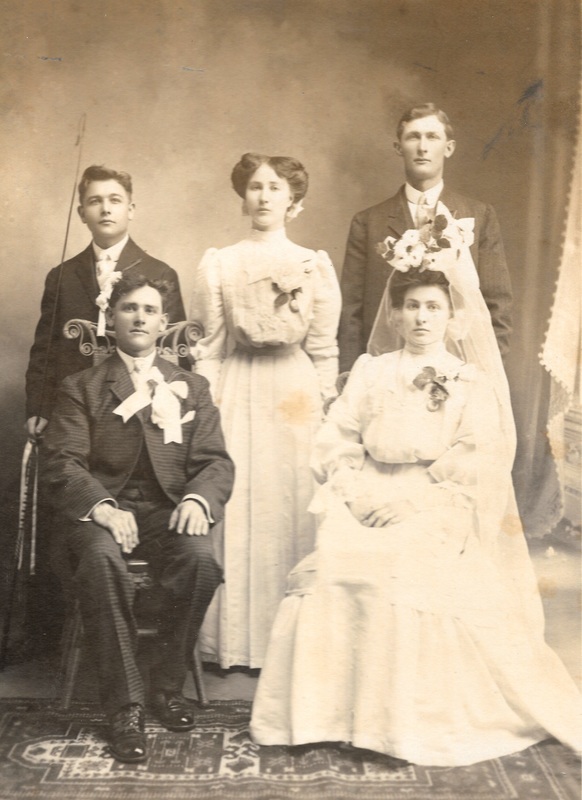 According to Bob's wife Fran, their genealogy records show the wedding took place on January 3, 1912 at Falls City. Photo 846. Charlie Hana Wedding Party. Faulty stove pipes in the nearby wash house caused a fire that destroyed their home and everything in it. Bessie discovered it and ran for help while Charlie tried to put the fire out. 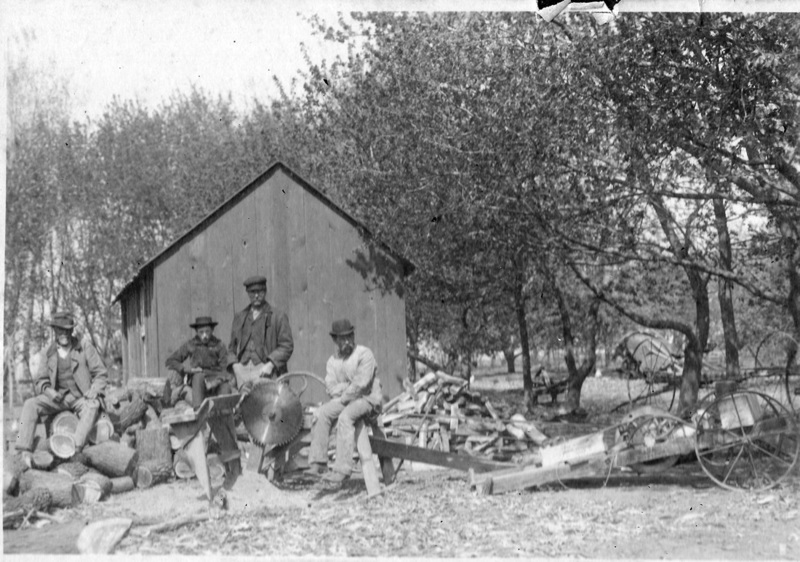 In the meantime, Louis Sochor saw the blaze from his own farm and went to investigate; by the time he could call the fire in, it was too late to stop it. Fire Chief Floyd Vrtiska took them to Humboldt, where Bessie was treated for shock, and then to the home of Bessie's brother. They were 75 at the time. Charlie died a few years later, but Bessie lived to be 89. Note that the wedding picture gives the names as Hanna and Hrdlieka, but 47 years later, the names were reported as Hanna and Herdlotchka. It seems that Bessie's father spelled his name as Herdlitchka, but three of Bessie's brothers were buried as Hrdlicka. It was perhaps not an easy name to anglicize. By the way, this is a picture taken at Charlie & Bessie's farm. Look at the wonderful grounds.